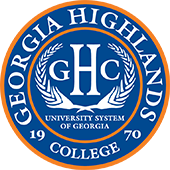 Georgia Highlands College’s student-run newspaper the Six Mile Post is celebrating another successful year with several awards from the Southern Regional Press Institute (SRPI) and the Georgia College Press Association (GCPA). At the SRPI held at Savannah State University, the newspaper won first place for its website and then second place overall. Xavier Freeman, Josh Mabry, and Gage Walker all took second place for individual awards in the small college division in photography, sports story, and editorial respectively. The Six Mile Post brought home 12 awards from the GCPA held in Athens, four individual and eight in general. At the GCPA, individual awards are in competition between freshmen and sophomores from all colleges, while general awards are categorized according to enrollment. Individual Six Mile Post awardees included Gage Walker for a first place in Best Editorial or Editorial Series; Josh Jones for a second place in Best Entertainment Feature; Larry Oswalt in second place for Best Column; and Moira Hale in third place for Best Investigative News Article. The student newspaper won additional general awards for a first place in General Photography; first in Best Community Service (Editorials); third place in Improvement; third place in Best Campus Community Service (Features); third place in Best Campus Community Service (News); third in General Advertising Six Mile Post; third in Best Website; and third in General Excellence. On top of an already busy year, the SMP also sponsored First Amendment Awareness Week and Ping Pong tournaments at Floyd and Cartersville.